The company's Zipp line of Bluetooth speakers offer great sound with an attractive design. It's pushing the design envelope yet again with the One Click and Too, although with much lower price points. As we saw with its Zipp series of Bluetooth speakers, Danish speaker manufacturer Libratone dances to a different tune when it comes to industrial design. 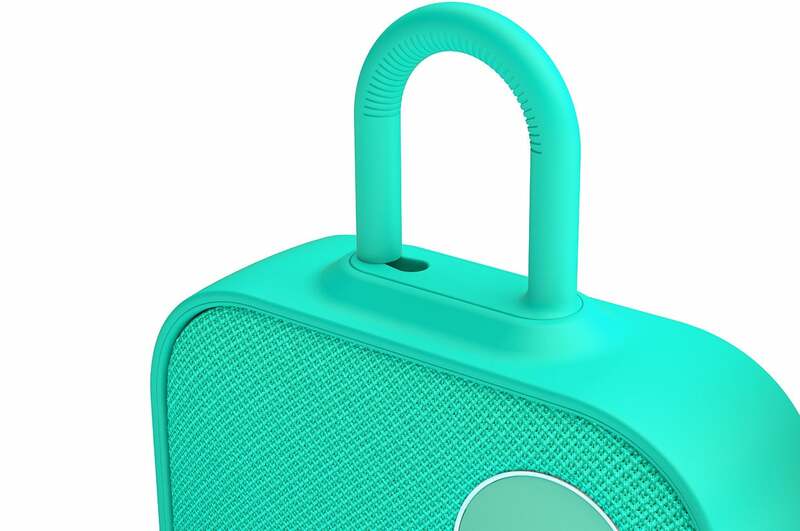 The company’s quirky aesthetic is on display once again with its newly announced One Click and Too Bluetooth speakers. These new and smaller speakers aren’t quite as feature packed—they don’t support AirPlay, for instance—but they’re smaller and less expensive than either of the Zipp speakers. The One Click retails for $200. Designed for portability and easy storage, it's roughly the size of a paperback book (4.7 x 1.6 x 8.1 inches) and weighs just two pounds. Like the Zipp, it comes in several different colors—Graphite Grey, Caribbean Green, and Cloudy Grey—but you won't be able to swap out its cover. 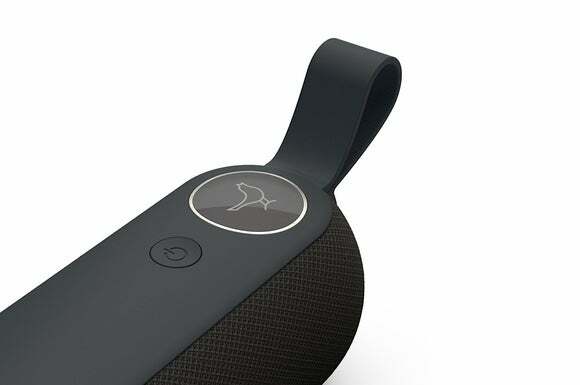 The Libratone One Click features a padlock-like hasp that you can use to hang the speaker. The rubber bumper is water resistant (its IPX4 ingress rating means its splash-proof), and grommets allow you to attach an included rubberized strap for carrying the speaker. A padlock-like loop on top of the speaker offers another way to hang the speaker if you’d like something a little more rugged than the rubber strap. Inside the One Click you’ll find a 3.0-inch woofer, and 1.0-inch up-firing tweeter, and two passive radiators to enhance bass performance. Libratone says these drivers are arranged to deliver 360-degree sound. The smaller Too measures 8.3 x 2.6 x 2.3 inches and retails for $150. It features the same color choices as the One Click, but in a more elongated enclosure housing a pair of 1.5-inch full-range drivers and a single passive radiator. Like the One Click and the Zipp series, it also promises to deliver 360-degree sound. Both the Libratone Too (shown here) and the One Click feature touch-surface controls. The One Click and the Too both boast 12-hour life, and they both use the same touch interface as the Zipp. 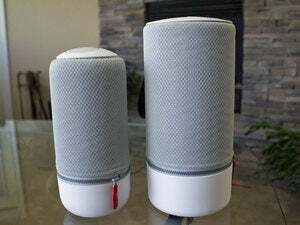 Both speakers are available now through Libratone’s website and at online retailers. Why this matters: Bluetooth speakers are as common as dirt, but we find Libratone's designs to be refreshingly different. We were generally pleased with the Zipps' audio performance, so we're looking forward to hearing what these new models can deliver. We’ll have a hands-on reviews soon.